We focus on providing the highest level of care, creating individual treatment options through advanced dermatological services and products to ensure healthy, glowing skin for every patient. As an expert medical and cosmetic dermatologist, Dr. Hickam has been serving the greater New Orleans for the past 20 years. 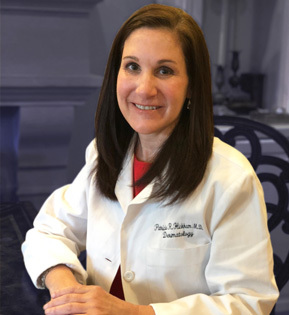 Her practice focuses on providing the highest level of care, creating individual treatment options through advanced dermatological services and products to ensure healthy, glowing skin for every patient. As an expert in cosmetic dermatology, Dr. Hickam focuses on providing the highest level of care, creating individual treatment options through advanced cosmetic dermatological services and products to ensure healthy, glowing skin for every patient. Dr. Hickham has over 20 years of extensive experience in medical and cosmetic dermatology. Taking care of your health and wellness is of the utmost importance. Dr. Hickham also understands that how you feel on the outside can impact how you feel on the inside. We offer a wide selection of in-office aesthetic products. At Hickham Dermatology & Med Spa we strive to provide the highest level of care, creating individual treatment options through advanced dermatological services and products to ensure healthy, glowing skin for every patient. Dr Hickham is amazing! She is a knowledgable and dedicated physician who cares about her patients. She puts you at ease with her calming bedside manner. Worth checking her out! Dr. Hickham is the most caring and attentive doctor I have ever seen. She got me through a pretty rough spot and was on my team the entire way. Simply the best! Dr. Hickham has such a refined eye for dermatologic health, cosmetic and otherwise.